If you are looking for more information about the EcoSlim diet drops that come in a colorful bottle that has a fruit-effect label, this review is for you. If you are searching for information about the EcoSlim diet drops produced by Native Remedies (green label) you will need to look elsewhere. If you are looking for any of the diet pills that share the same name you’re even further off the mark, but it’s a forgivable mistake when so many companies have thrown aside all thoughts of imagination and decided to give their product a name that has already been bagged by someone else. The identity of the company marketing this product is not known and it is also unclear if the company is also responsible for the manufacturing process or is merely a distributor. It is equally unclear where the company is based. The official EcoSlim website does not provide an “about us” page. The “contact” page provides a Turkish telephone number. People who wish to place an order have to do so via the (US) toll-free number provided on the homepage. A close examination of the site’s “terms and conditions” page reveals customer services can also be contacted via support@CatchMePatchMe.com. CatchMePatch.com is a Polish website that sells diet patches. Anyone who takes a look at the sales page can be forgiven if they become confused. 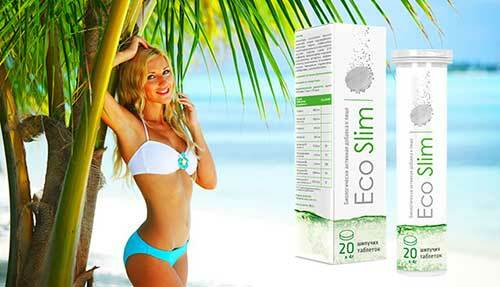 It begins with the statement: “EcoSlim (Lycium barbarum) are the most nutritionally dense fruit on Earth. “Lycium barbarum is another name for goji berry but, although the fruit is highly nutritious, it is not known as EcoSlim. To make matters even more confusing, lycium barbarum is not mentioned on the list of ingredients provided on the same page. However, the page states 95% of the active ingredients are absorbed and points out this not the case with diet pills. This is probably correct. The digestive process can rob diet pills of some of their power. Diet drops are absorbed into the bloodstream through the skin in the mouth, so most of the formulation’s power is retained. Step 3: Add a handful of EcoSlim to a big glass of tea and let the berries hydrate. After 5 minutes drink the tea and eat the berries. Guarana: A fruit extract that provides a steady release of caffeine. The probable benefits are better concentration, extra energy, and the ability to burn fat faster. 5-HTP: An amino acid that can improve the mood by elevating serotonin 5-HTP may have value here because its presence may prevent diet-related moodiness.Fucus Vesiculosus: A kelp derivative. Fucus vesiculosus is high in iodine. The thyroid gland uses a combination of iodine and tyrosin to manufacture the metabolism regulating hormones thyroxine (T4) and triiodothyronine (T3). Yerba Mate: Yerba mate is a member of the holly family. It offers mild stimulation and is generally believed to have fat burning capabilities as well. Fat Burning RX Blend: A patent-protected ingredient that provides zinc, lecithin, flaxseed oil, and l-carnitine. This is the first time we have seen it added to a supplement designed to be taken orally, but it is used in some brands of diet patch. People under 18, and women who are pregnant or nursing a child, should not use this product without the prior approval of their doctor. The same advice is offered to anyone who has existing health issues or is using medication. Orders have to be phoned through using the number on the sales page. Postage is free but expect to pay around $40 to $85 (depending on promotion) per bottle. 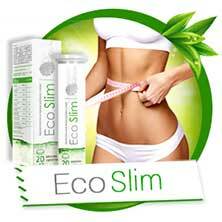 EcoSlim diet drops are sold minus a money back guarantee. This is a product that appears to contain a few good ingredients, but there are a lot of unknown factors involved and the official site does not suggest the company marketing the product is particularly on the ball or even fully understands what their product is or how it is meant to work. It may very well provide the promised results but, if it doesn’t, a refund won’t be on the cards, so taking a chance on this product does not make good sense. 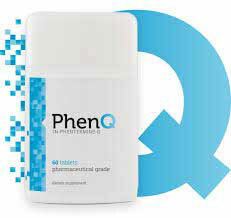 We are huge advocates of PhenQ – a multiple action diet pill that can burn fat, block fat and reduce hunger by suppressing appetite. PhenQ is a natural product but had pharmacy ingredients – it is available without prescription and direct from it’s own official website. Special Offers: Buy a 3 pack from $66per bottle. Available to buy exclusively from the official website. All sales are made via the official website. The site contains a wealth of information, is easy to navigate, and bears an unusually high amount of customer testimonials—all of them independently verified. 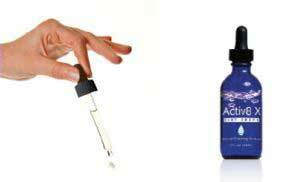 At nearly $90 for a single bottle (lasts one month), Activ8 X is quite a pricey option, so penny-pinching dieters may fail to give the drops serious consideration, which is a pity because it’s a strong product that should have the power to belt sagging waistlines back into shape and Amas provides a generous 200 day money back guarantee. If product pricing remains a major deciding factor, potential customers should be aware savings of around $16 per bottle can be secured by adding an extra bottle or two to each order. Liquid supplements tend to be easier on the stomach than capsule-type weight loss options. They are also absorbed more easily and get to work much faster. Although results can be achieved without it, the Activ8 X diet plan is a definite bonus because dieters who adhere to its recommendations will secure better results and may also develop more sensible long-term healthy eating habits. Capsicum: A red-hot winner in the fight against obesity, capsicum capsainoids are scientifically proven to reduce calories, boost the metabolism, and burn away unwanted body fat. Green Tea Extract (EGCG): Boosts the metabolism and encourages rapid fat burning. Beta-alanine: A non-essential amino acid that is an old favorite in bodybuilding communities thanks to its effective muscle-toning abilities. Probably incorporated here to minimize muscle loss due to dietary restrictions. Chromium: The fat burner that may not be a fat burner—at least not according to recent tests. Studies conducted in the 1950s showed some very promising results though. Grapefruit Powder: A powerful detox agent. Apparently included here to provide appetite suppression, but grapefruit is not famed for this ability. Pyruvate: Believed to speed up the metabolism and ensure ingested sugar and starches are utilized as an energy source rather than becoming building blocks for fat tissues. Garcinia: An Asian fruit that contains high concentrations of hydroxycitric acid (HCA). Known benefits include appetite suppression and fat burning. Grape Seed Extract: Contains generous amounts of health-enhancing antioxidants. Scientists are currently exploring the ingredient’s potential as a combined fat burner and carb blocker. Further testing is required, but early indications are good. African Mango: A “super fruit” ingredient that is rich in nutrients and has stacked up quite a reputation as a dietary aid. The average weight loss associated with African mango is 28 lbs. in 10 weeks. Panax Ginseng: Chinese herbalist have been extolling the health benefits of ginseng for thousands of years. Used here to support the blend’s carb blocking potential and help maintain correct blood sugar levels. The Activ8 X website contains a lot of impressive reviews, filtered in via provencredible.com (testimonial verification service). Pregnant and nursing mothers should not use Activ8 X. Anyone who has any health issues or concerns should seek medical advice prior to commencing supplementation. 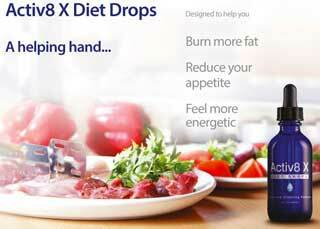 Activ8 X contains some powerful weight loss ingredients that should ensure good results. The lack of inclusion rates is somewhat of an issue because such a lack makes it hard to assess the full potential of the blend, but the availability of so many positive reviews suggests Amas must have got the proportions right. The fact that the company is willing to offer such a long guarantee indicates Amas are also confident they have got the proportions right, so it’s hard to fault this product. It should get the job done. 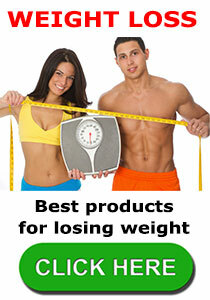 Activ8 X is a recommended weight loss product. Orders are exclusive to the official website, shipping is to all countries that participate in free trade. As mentioned above it is not cheap but you do get what you pay for. 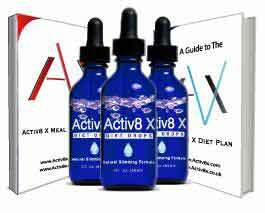 Activ8 X is accompanied by the excellent AVX diet plan – an in depth weight loss guide that is arguably the best of its kind in circulation.